Ravi Shankar Parking, the giant neon sign on the roadway beckoned. The other sign pointed straight to Cirque du Soleil Parking. Two big marquee events were being staged that evening and I could only wonder which would have the bigger audience. I had just driven into Long Beach California in my friend’s green VW beetle as the bright sun dipped into the Pacific and daylight faded abruptly. I parked in the second floor of the multilevel parking lot and found my Theater, a 3000-seat acoustic marvel. Anoushka was on stage with the accompanists and directing the sound engineers. Finally she was satisfied with the sound. Someone brought her toddler on to the stage and she and tabla maestro Tanmoy Bose entertained him by telling him to bang on the table. Pandit Ravi Shankar was then brought on stage. He was seated in a wheelchair. Despite his being on oxygen, his presence immediately towered over everyone on stage. He was assisted to his seat and handed his sitar, which he deftly put through its paces. 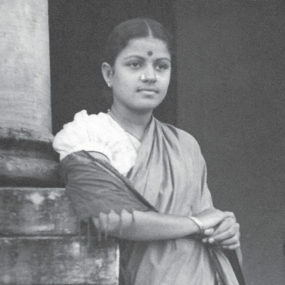 Anoushka solicitously attended to his sound needs and directed the engineers until she was satisfied that he could hear and that the sound was balanced. Soon he was helped back into his chair and whisked away. The stage was cleared and a lamp lit. The empty hall began to fill. The trickle turned to a flood, and soon every seat was occupied. The front row was now full of VIPs including Indian Ambassador Nirupama Rao, Lakshmi Shankar and a number of other family members. 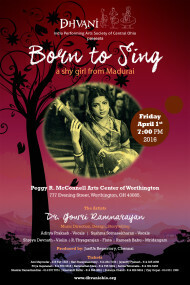 The lights faded and Anoushka walked on to the stage to a thunderous ovation. She addressed the audience with practiced ease. Despite the size of the hall, there was a sense of intimacy and she talked to the gathering with a familiarity and affection reserved for friends. 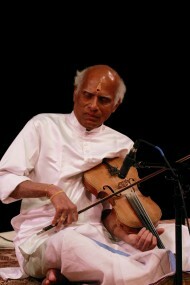 Ravi Shankar’s own composition in raga Shailangi was followed by Vachaspati. 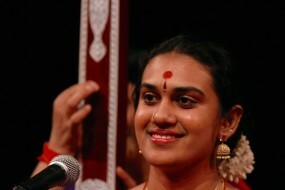 Anoushka then played the Carnatic composition Raghuvamsasudha in Kathanakutoohalam. She informed the audience that it was a request from her mother. The audience approved with gusto and Anoushka effortlessly put the brisk composition through its paces to the accompaniment of mridangam and flute. After the intermission, Anoushka announced her father. “This is the moment you have all been waiting for”. He was brought on stage in a wheel chair and took his place on the edge of the platform. The audience was on its feet with respect and affection. The first piece he announced, immediately taking charge of the proceedings, was in raag Bhimpalasi “for all those victims of the storm”. He was referring to hurricane Sandy which had just days before devastated parts of the Eastern US. The brisk concert followed, with father and daughter seeming to be playing for each other as much as for the audience. 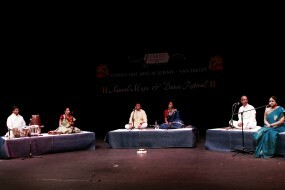 A gat in Teental in Raag Malgunji followed. 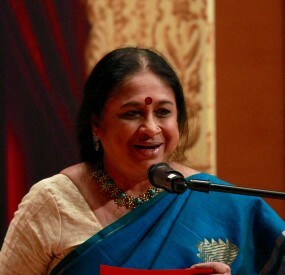 The concert concluded with the familiar Pancham se Gara. 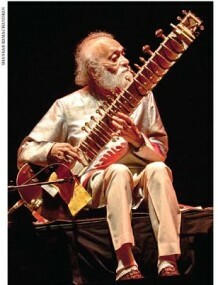 Despite his obvious frailty, Ravi Shankar was fully engaged and involved with every artist on stage. As he announced the pieces he addressed the audience with great warmth. The entire audience jumped to its feet. Two thousand five hundred and more clapped thunderously. They were all there to pay their respects, to thank and to bid farewell to a giant. They had come from near and from as far as New York and Washington DC to be at the event. As Ravi Shankar stood by his daughter and shared the stage with the accompanists next to them, no one wanted to stop clapping. 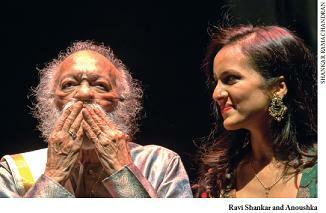 Ravi Shankar kept waving and blowing kisses to the audience. Eventually he sat in his chair still waving as wife Sukanya wheeled him off to the wings. The last we saw of him was his smiling face, hands held high in a victory clasp, masking the physical exhaustion within. He was unable to meet with me the next day when I stopped at their residence to interview Anoushka after they had returned from Long Beach. Sukanya was apologetic and explained that his oxygen level had dropped dramatically during the concert and that he was quite exhausted. She thanked me for the champa flowers I had picked at a friend’s garden and taken to the hall the previous evening. She had put them, she said, in his dressing room because he liked the fragrance. Despite his subsequent exhaustion, nothing could take away from the determination and energy he expended the previous night so he could share his music one more time. I didn’t think then that this was to be his last concert. But daughter Anoushka knew it and shared that and other thoughts with me about her father and about her experiences growing up as his daughter and his student.